Cleaning your toys is an important part of making them last! 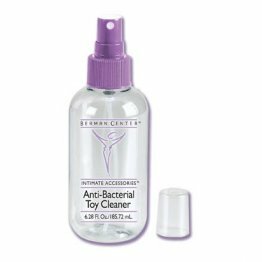 Toy cleaner is an antibacterial spray that actually sanitizes and disinfects your adult toys! Simply spritz on your favourite cleaner, leave it for around 5 minutes to allow the disinfecting agent to do its job, wipe, rinse, and leave to air dry. Not only will you be helping your toys last for a long time, you'll also be helping yourself against bacteria!